Oil rigs are a necessary tool in the exploration, extraction and refinement of oil deposits both on land and at sea. If you live in a coastal city, particularly a city that contains oil refineries, you may be able to see oil rigs from the shore of your local beach. Oil rigs are interesting for their intricate processes, regulations and sheer numbers globally. According to a 2002 study by Louisiana State University, oil rigs contribute to a dramatic increase in marine life around rig operations. The study found a nearly 50 percent increase in marine life around the rigs when compared to surrounding marine areas away from the rig. Commercial and private fishing trips in Louisiana, according to the study, focused most of their catches (approximately 85 percent) around oil rigs. The spear fishing industry of Louisiana also garners a significant amount of catches around the state's oil rigs. Oil rigs, unlike their predecessors from the early days of oil drilling, are quite portable, and can be transported from one drilling site to the next. The tall derrick located on the oil rigs contains the drilling pipe and bits necessary to pierce the bedrock in search of oil. 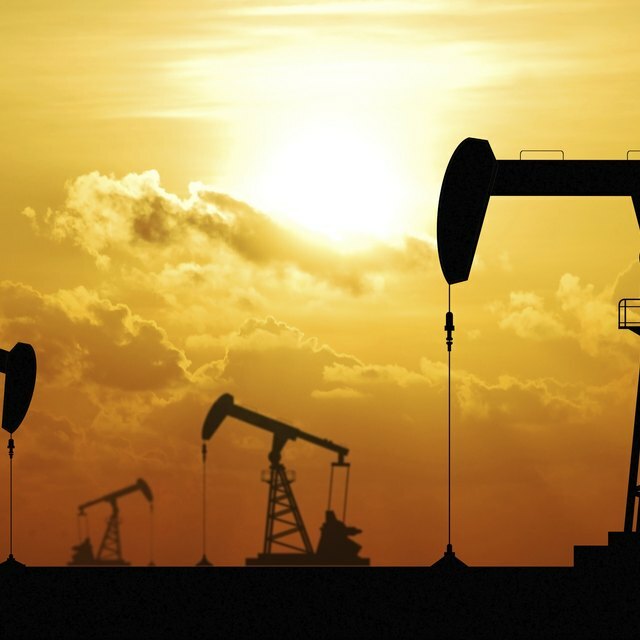 When the oil rig has pumped all of the available oil from the location, the well is sealed and the pipe equipment is hauled back onto the rig. A large ship then tows the rig to its next destination. Six types of oil rigs operate around the world collecting oil. 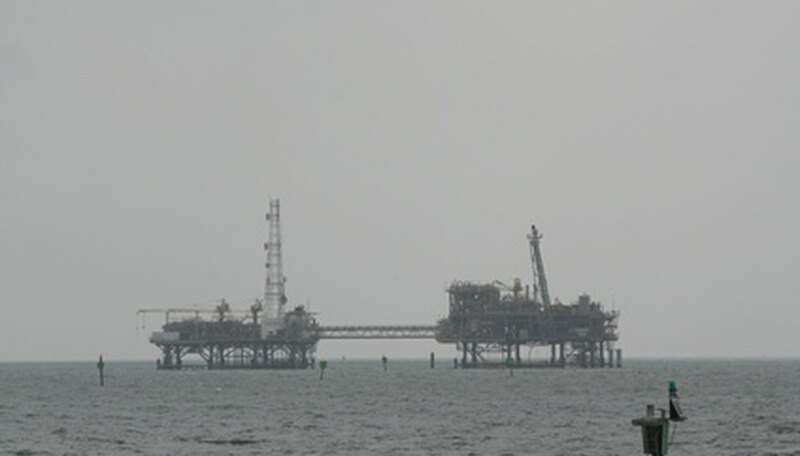 Semisubmersible oil rigs are the preferred type of rig for deep-sea oil exploration due to the stability of the structure, which, when flooded with water, remains nearly motionless at the surface of an ocean. A typical oil platform is built from concrete and steel, and can not only drill for oil, but also can process and refine the oil. Jack-up rigs extend long legs to the bottom of the sea floor to provide stability to the structure. The Jack-up is limited by the depth of water in which it can operate. The last three -- drill ships, flotels and mobile storage units -- are meant as temporary oil extraction structures when a larger oil rig cannot be used. C Fact: Off-shore Oil Rigs: A Boon to Aquatic Species? Marquis, Aaron. "Facts About Oil Rigs." Sciencing, https://sciencing.com/list-7271586-oil-rigs.html. 09 January 2018.